In a Jan. 12, 2007 photo, Giant Panda panda mother Lun Lun , right, eats bamboo as her cub Mei Lan explores her new habitat at Zoo Atlanta. Zoo officials said Friday, Oct. 22, 2010 that they have confirmed the pregnancy with an ultrasound of mother Lun Lun. 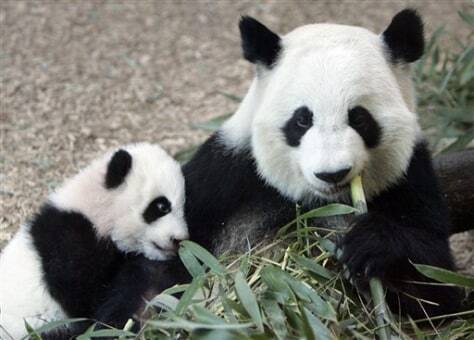 This will be the third cub for the 13-year-old panda.